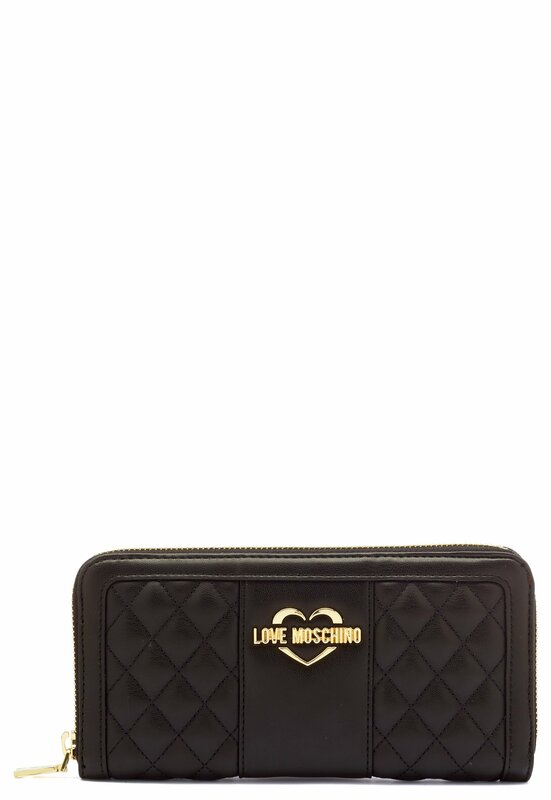 Elegant wallet from LOVE MOSCHINO. 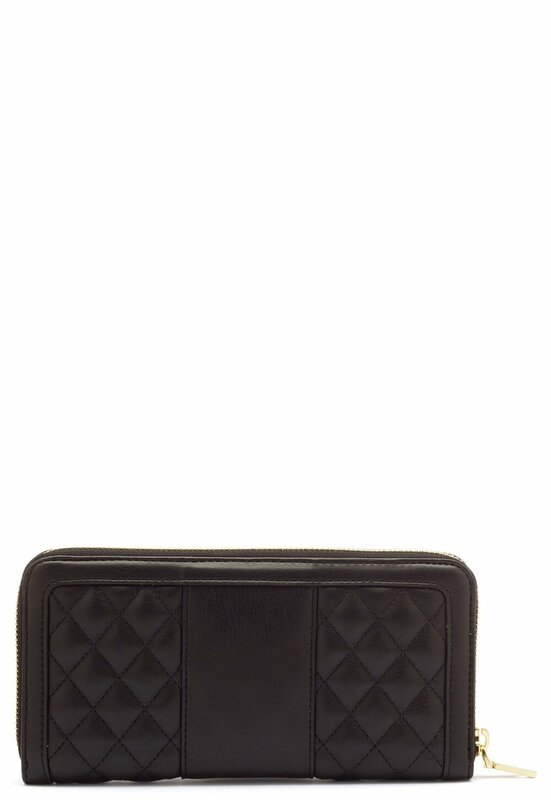 The wallet is quilted and has a zipper closure. 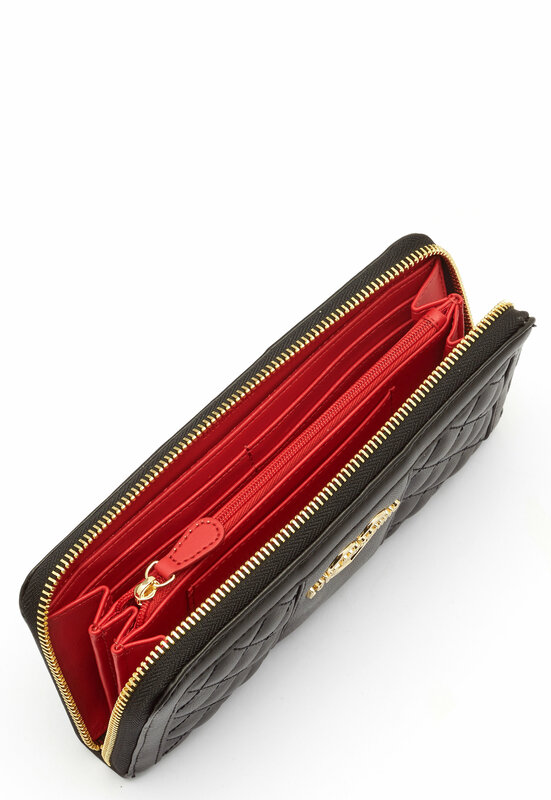 - Coin compartment with gold color zipper - Twelve card compartments - Two note compartments - Gold color metallic logo at the front - Closed with a golden zipper - Pretty, red lining Length 20 cm, width 2.5 cm, height 10 cm.